In the early formative years of the spread of Christianity beyond its Palestinian-Jewish context, there lived a Greek who was a presbyter (priest) that ministered to the Christian congregations of Imperial 3rd century Rome. 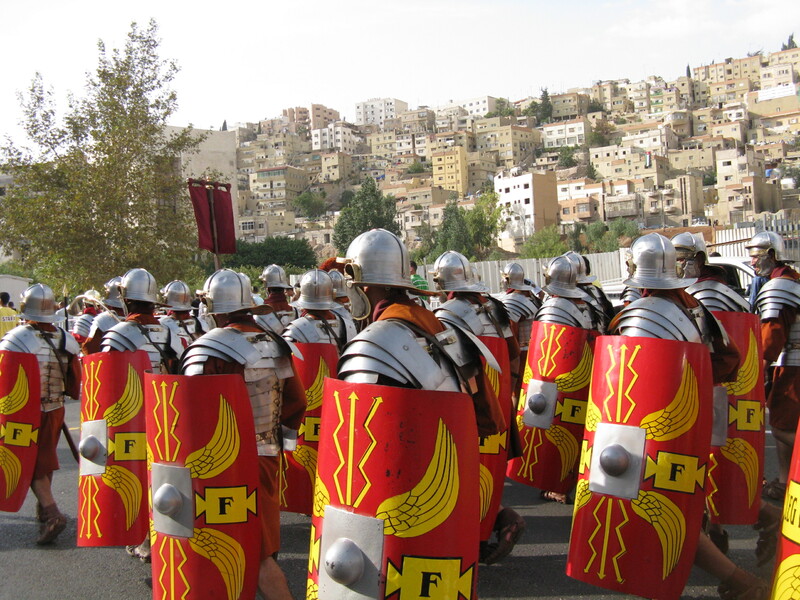 It seems that the Faith was growing within this great and powerful city, and it seems that like any good minister of Christ, Hippolytus sought to ensure the proper order and functioning of his congregation and assist the general ministry of the Church in Rome, by providing a documented account of liturgical practices and matters of Church order and discipline. Such matters like the manner of prayer when one awakes in the morning, directions on how to receive Holy Eucharist, how one invokes prayer and the name of God through the sign of the Cross, duties of a deacon, how is a baptism conducted and so forth. 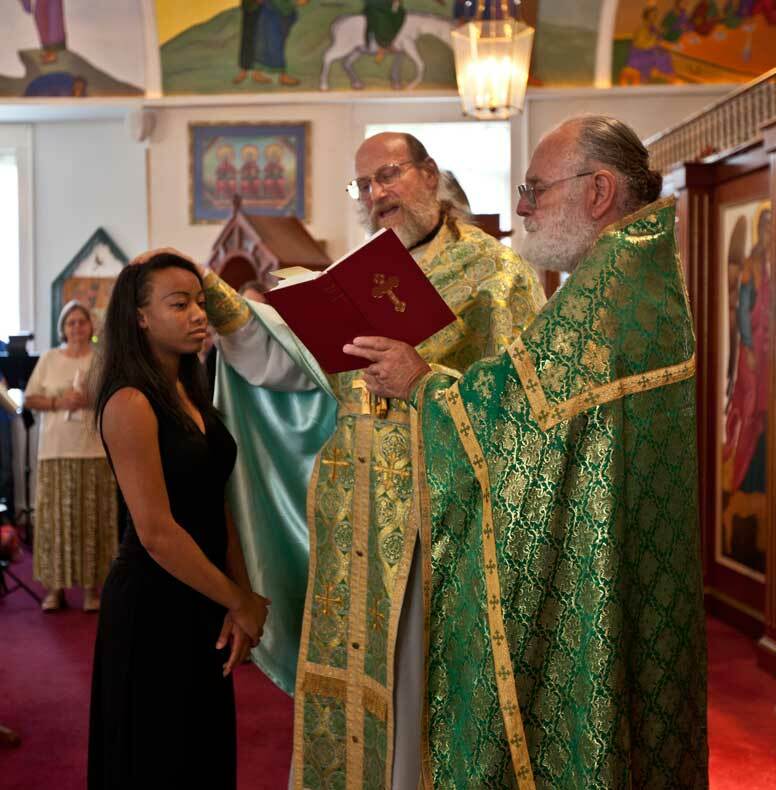 In effect it is a basic general manual for worship, prayer, and liturgical practice, what we Orthodox would call a manual of “Orthopraxia” or “Liturgicon”. In any case it is one of the earliest surviving documents of its kind in Christianity, since much was lost or destroyed through the ravages of times, particularly from this period of Hippolytus’ time when Christians still lived under persecution as an outlawed religion. Thus it is a unique document for us today to study and examine Christian practices and ethos prior to the existence of any “denominations” East or West, and to which Christians of all denominations should examine to learn of their own origins. 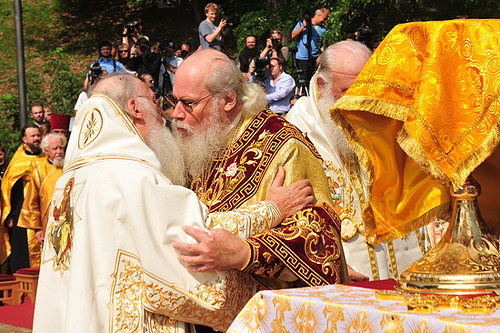 The Apostolic Tradition of Hippolytus may seem dry reading to an Orthodox Christian, since many of the things written within it, are still done and practiced by Orthodox Christians today and may seem trivial or second nature to us, and thus take for granted. But nevertheless, we seek to publish a selection from a translation of this important work, so that Orthodox Christians can see that what we do in liturgical practice or in prayer, is not coincidental, but has its roots within the time of the early Christian Church. As for the author himself, not much is known, and as for his authorship and titling of this work there are some discussion points amongst scholars and historians. 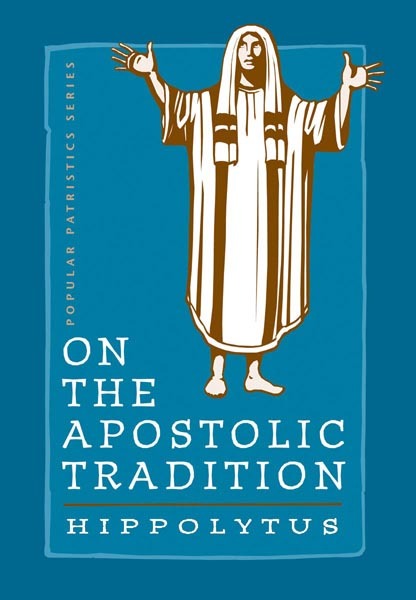 Accordingly, it is probable that the original title of this work was not “On the Apostolic Tradition” but something else. The epithet was in all likelihood ascribed by the Church, due to the integrity, antiquity and reliability of the document’s liturgical and theological content. 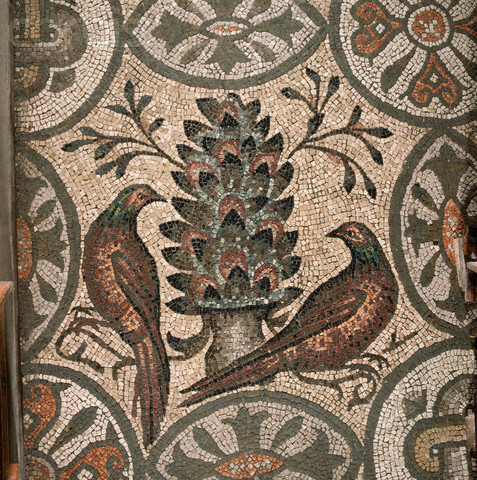 And it is possible, that Hippolytus was not the only author of this “anthology” of Christian liturgical practices, teachings and ecclesial order; but that the document may have had a proto-type prior to Hippolytus, and to which was supplemented, developed and refined by each successive generation of Christian leaders in 2nd-3rd century Rome. This of course is not too dissimilar to books published in our own times, which have refinements made to them in each forthcoming edition. The role Hippolytus could have played in the development of this ancient document was that of editor, or the one who helped put together what was a collection of disparate writings on differing subjects together into one compendium. In any case it is a useful resource for study, especially for those interested in liturgical matters and how Christianity emerged in a pagan world which had norms of lifestyle that often ran contrary to its own beliefs and teachings. A good example refers to the selection criteria of catechumens (that is those who seek to enter the Faith), in this way to avoid conflict and scandals. In any case the following textual selection is taken from the translation undertaken by St Vladimir’s Seminary Press, edited by Fr John Behr, and an introduction and commentaries by Alistair Stewart-Sykes. Some of the points raised by the actual text may not make complete sense in our modern day world, because the world and its society has changed since, so refer to footnotes for brief explanations of points that may not be clear. Those who come to hear the word for the first time should first be brought to the teachers in the house (that is, the church), before the people come in. And they should enquire concerning the reason why they have turned to the Faith. And those who brought them shall bear witness whether they have the ability to hear the word. They might be questioned about their state of life, whether he has a wife, or whether he is a slave. If he is the slave of a believer and his master encourages him, let him hear the word. If his master does not bear witness to him, that he is good, he should be rejected. If his master is a pagan, teach him to please his master, that there should be no scandal. If there is somebody who has a wife, or if a woman has a husband, so should they be taught that the man be contented with his wife and the wife with her husband. If there is somebody who does not live with a wife [that is, if they are unmarried] he should be taught not to fornicate, but that he should either take a wife [get married] in accordance with the law or should remain “as he is” [celibate] in accordance with the law. But if there is one who has a demon, let him not hear the word of teaching until he be purified. 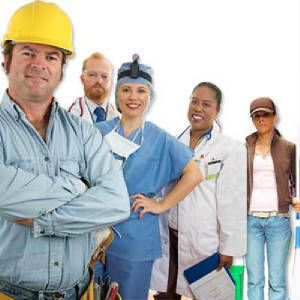 Enquiry should be made concerning the crafts and occupations of those who are brought to be instructed. If any is a pimp or procurer of prostitutes he should desist or he should be rejected. If any is a sculptor or a painter he should be instructed not to make idols; he should desist or he should be rejected. If any is an actor, or makes presentations in the theatre, he should desist, or he should be rejected. If somebody teaches children it is better that he desist; if he have no other trade let him be allowed. Likewise a charioteer who competes, or anyone who goes to the races, should desist or be rejected. If any is a gladiator, or trains gladiators in fighting, or one who fights beasts in the games, or a public official engaged in gladiatorial business should desist, or he should be rejected. If any is a priest of idols, he should desist, or he should be rejected. A soldier in command must be told not to kill people; if he is ordered so to do, he shall not carry it out. Nor should he take an oath. If he will not agree, he should be rejected. Anyone who has the power of the sword, or who is a civil magistrate wearing purple, should desist, or he should be rejected. If a catechumen or a believer wishes to become a soldier they should be rejected, for they have despised God. A prostitute or a wastrel or any who has been castrated, or any who has performed any other unspeakable deed, should be rejected, for they are impure. A magician should not be brought for a decision. A maker of spells or an astrologer or a soothsayer or an interpreter of dreams or a rabble-rouser or somebody who cuts fringes on clothes (that is to say scissor-users) or any who makes amulets, should desist, or they should be rejected. Somebody’s concubine, if she is his slave, if she has raised his children and holds to him alone, should hear; otherwise she should be rejected. A man who has a concubine should desist, and take a wife in accordance with the law. If he does not wish to do so he should be rejected. If a believing woman consorts with a slave she should desist, or she should be rejected. If we have omitted any other matter the works will instruct your eyes. For we all have the spirit of God. Catechumens should hear the word for three years. But if a man is keen and preserves well in the matter, the length of time should not be considered, but his manner alone should be considered. Whenever the teacher ceases to give instruction the catechumens should pray by themselves, separated from the faithful, and the women should stand and pray by themselves in another place in the church, both women faithful and women catechumens. When they have prayed they shall not give the kiss of peace for their kiss is not yet holy. The faithful should greet one another, the men with each other and the women with each other. No man should greet a woman. All the women should cover their head with a veil, but not with just a piece of linen, for that is no covering. When the teacher lays his hand on the catechumen after their prayer he should pray and dismiss them. Whether he be ecclesiastic or a layman he should do so. If a catechumen should be arrested for the sake of the Lord he should not be double-minded in respect of his witness. For if violence is brought against him and he is killed before receiving baptism for the remission of his sins he will be justified. For he has received baptism in his own blood. When those who are to receive baptism are chosen their lives should be examined; whether they lived uprightly as catechumens, whether they honoured the widows, whether they visited the sick, whether they were thorough in performing good works; and if those who brought them bear witness that they have acted thus, so they hear the Gospel. From the time they are set apart a hand is laid on them daily whilst they are exorcised. When the day of their baptism draws near the bishop should exorcise each of them so that he may be sure that they are pure. If there is one of them who is not good or pure he should be put to one side, because he has not heard the word of faith. For it is impossible that the alien spirit should remain with him. Those who have been set apart for baptism should be instructed to bathe themselves and wash on the fifth day of the week. And if a woman is in the manner of women she should be put aside and should receive baptism another day. Those who are to be baptised should fast on the day of preparation for the Sabbath. On the Sabbath those who are to be baptised are gathered at the will of the bishop in one place. They shall be instructed to pray and bend the knee. And when he lays his hand on them he shall exorcise them of every foreign spirit and they shall flee away from them and shall not return to them. And when he has finished exorcising them he should blow on their faces; and when he has sealed their forehead, their ears and their noses he should make them stand up. They should spend the entire night in vigil, hearing readings and receiving instruction. Those who are to be baptised should not bring anything with them, except what they bring for the Eucharist. For it is fitting that those who are made worthy should bring an offering on that occasion. Now at the time when the rooster crows they [the clergymen] shall first pray over the water. 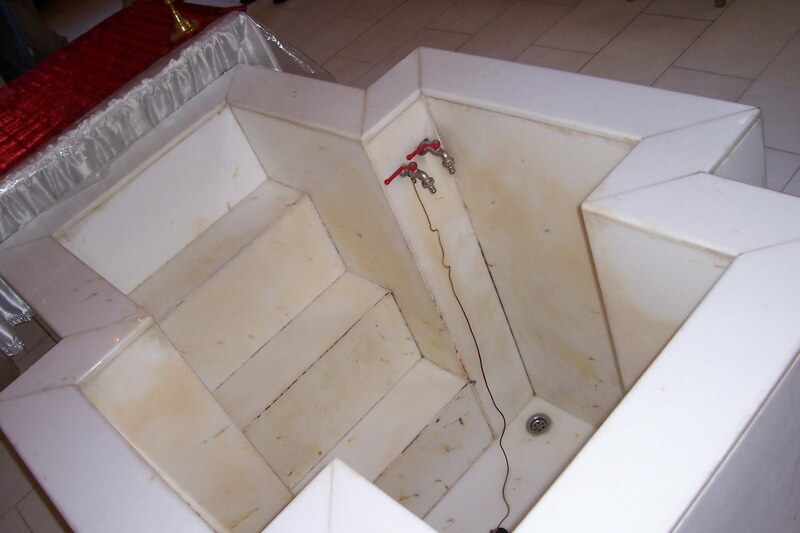 The water should be flowing into the [baptismal] font or be poured into it. It should be so there is no necessity, but if there is continuous and sudden necessity use any water you can find. And they should take off their clothes. You [clergyman] are to baptise the little ones first. All those who are able to speak for themselves should speak. With regard to those who cannot speak for themselves their parents, or somebody who belongs to their family, should speak. Then baptise the grown men and finally the women, after they have let down their hair and laid down the gold and silver ornaments which they have on them [-their jewellery in other words]. Nobody should take any alien object down into the water. And at the time determined for baptism the bishop shall give thanks over the oil and put it into a vessel and call it the oil of thanksgiving. And he shall take other oil and perform the exorcism over it and call it the oil of exorcism. And a deacon brings the oil of exorcism and places himself on the left hand of the presbyter (priest), and another deacon takes the oil of thanksgiving and stands on the right hand of the presbyter. And when the presbyter takes hold of each of those who are to be baptised he should bid him renounce saying: “I renounce you Satan, and all your service and all your works”. And when he has renounced all this he should anoint him with the oil of exorcism saying to him: “Let all evil spirits depart far from you”. Then he should hand him over to the bishop or the presbyter who stands at the water to baptise; and they should stand in the water naked. And a deacon likewise should go down with him into the water. And he who is being baptised should reply: “I believe”. And when he has said, “I believe”, he is baptised again. And he who is baptised should say: “I believe”. And so he should be baptised a third time. 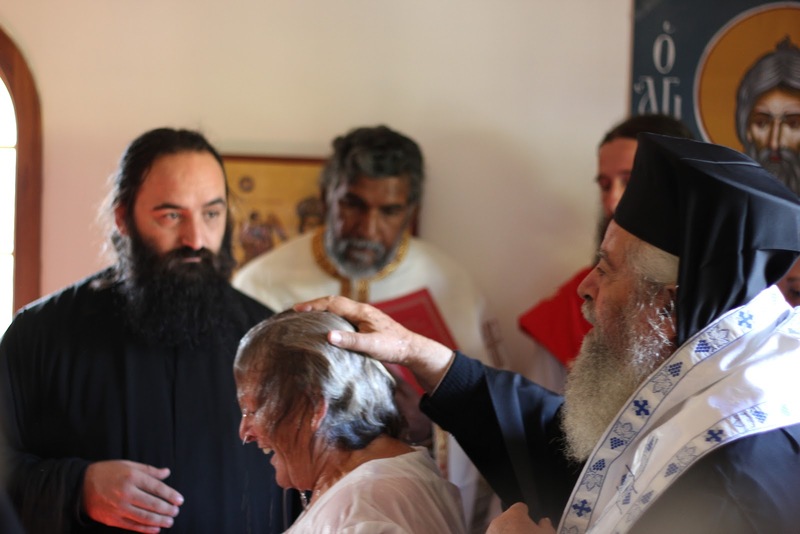 And afterwards, when he has come up from the water, he is anointed by the presbyter with that sanctified oil, saying: “I anoint you with holy oil in the name of Jesus Christ”. 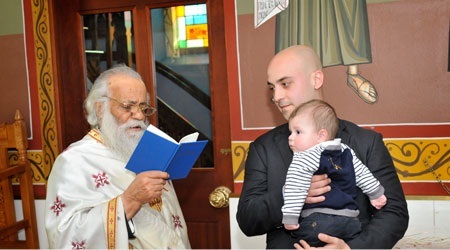 After this, pouring the sanctified oil from his hand and putting it on his head he shall say: “I anoint you with holy oil in God the Father Almighty and Christ Jesus and the Holy Spirit.” And signing him on the forehead he shall give him the kiss and say: “The Lord be with you”. And he who has been signed shall say: “And with your spirit”. And thus he shall do to each. And thenceforth they shall pray with all the people; they shall not pray with the people until they have performed all these things. And after they have prayed they should give the kiss of peace. And then let the oblation be brought at once by the deacons to the bishop, and let him give thanks over the bread as the antitype of the body of Christ; and the cup mixed with wine on account of the likeness of the blood which was shed for all who have put their faith in him. At the same time milk and honey mixed fulfillment the promise which was to the fathers, which stated “a land flowing with milk and honey”, which Christ gave as his flesh, through which those who believe are nourished just like a little children, the serenity of his word making sweet the bitterness of the heart. And water is offered as a sign of the washing, so that the inner person, which is made up of the soul, should receive the same as the body. And the bishop should give an address concerning all these things to those who receive. And the one who receives shall reply: “Amen”. The presbyters, and if there are not enough the deacon also, shall hold the cups; they should stand in good order [and with reverence]. First the one who holds the water, second the one with milk, third the one with the wine. And they who partake shall taste of each cup three times, as he who gives says: “In God the Father Almighty”. And the one who receives shall say: “Amen”. “And in the Lord Jesus Christ”. And he shall say: “Amen”. “And in the Holy Spirit and the holy church.” And he shall say: “Amen”. And thus let it be done to each. And when these things are done, let each hurry to do good works, to please God and to live properly, being devoted to the church, putting into action what he has learnt and progressing in piety. In simple terms, a couple should be faithful to one another to the exclusion of all others, and to show each other due love and respect, and the avoidance of separating or divorcing. Yet it also means they should be willing to sacrifice and compromise in order to provide for the needs of one another and to recognise their equality in the sight of God. –A rather bitter pill for men of pagan antiquity to swallow because it meant they were not the “boss” of their wife or wives, but co-workers, but it also meant they were only permitted one wife. In other words any ethical, moral or spiritual impediments to entry into the Faith should be first dealt with before beginning the religious instruction (catechism) of the prospective newcomer to the Faith. The scandalous excesses and the pagan rituals that surrounded the profession of the theatrical arts at the time was a major concern and deterrent for the early Church at the time, which questioned whether anyone could maintain a Christian ethos against the pressures placed upon anyone engaged within such a profession. The orgiastic rites that surrounded the theatrical profession at pagan festivals were particularly abhorrent to the early Church. This is not to say that it happened everywhere, but the tension between living the Christian Faith and the excesses of the theatre was extreme and in conflict at that time. This directive was one based on avoiding the possibility of bringing Christianity into the public spotlight, while avoid accusations of proselytism, which would infuriate the pagans and inspire a killing spree by them, since they did not want Christians “infecting” the minds and souls of their youth. But the Church still allowed a teacher to practice his profession if it were the only means by which he could live by. The lack of respect for human or animal life, both gifts and creations of God, are destroyed by these professions which seek to expunge these lives from the earth and without God’s blessing just for the fanciful amusement of fickle crowds of spectators. Yet again, these professions have their accompanying scandals of affairs and such like. The official was not considered any better because he encouraged what the Church saw as a socio-ethical problem and profited from it and used it as a stepping stone within the dirty world of political ambition. Well this one goes without saying, because if they seek to confess the Holy Trinity as the only true and living God, then it would be inconsistent to that principle of faith to still be engaged in another religion, for it is written in the Ten Commandments, “You shall have no other gods before Me”, and that does not mean to have any gods after God either. This one is quite a harsh one, but the point emphasised here was on killing, not wounding another person to put them out of fighting action, since wars and killing ultimately are reprehensible in the eyes of God; But there is a recognition that the world is not perfect and the need for armies will always be there unless humanity changes its ways. The point of taking an oath is a multifaceted one. Firstly a Christian was taught not to take oaths in order to attest to the veracity of their word, but to ensure that their word was always true and honest, that is, that their “yes” means yes, and their “no” to means no. Yet the taking of an oath usually involved the swearing upon a pagan deity and the emperor who was touted as a divine being, was both a blasphemy, and took away from God what was God’s and giving all to Caesar (worldly powers). This in one sense was to avoid causing injustice towards others by a bad ruling or a miscalculation of judgement. In another sense it was to avoid the worldly excesses of power; but in another sense it also shows the sense of besiegement of the early Christians who sought desperately to avoid the limelight, or be seen as forming “conspiracies” to take over government, and thus avoid bringing about persecutions upon their heads. This one is an unusual choice of persons in our perceptions, but there were those who castrated themselves and thus violating the natural created body which God gifted them at birth by “violating” its sanctity and integrity, because it is the Temple of the Holy Spirit. Yet the purpose of many eunuchs were to serve as guardians and witnesses at “orgiastic rites”. A more recent historical example would be the former Ottoman harem which was guarded by African eunuchs. Those who like to stir up troubles and controversies and use these to stir up mobs of people to go on the rampage. What we would call today “trouble-makers”, “anarchists” and “professional protestors”. That is, a dishonest tailor or seamstress who do not provide the full length of material for their clothing goods, but still charge for it. Yet it also refers to the making of “immodest dress” for people. Amulets were often made for and used as “lucky charms”. Yet the early Christians had an aversion to excessive jewellery and people dolling themselves up excessively for they felt that it allowed to much room for personal vanity to take root, and thus open the way for that most dangerous of sins, pride and vainglory. The injunction is for the concubine to remain faithful to her master to the exclusion of all if she has borne him children, for in the Church’s eyes this is a sort of de-facto marriage. But given that the concubine is the slave, she cannot enter into lawful wedlock until she is freed. The Church imposes that the respect for the image of God within another should be honoured. A woman who is a slave to serve the sexual whims of a master is an abomination in the eyes of God and dishonours both slave and master. The Church exhorts such a master to either free the concubine and marry her, or another woman, but to never possess a concubine ever again. The Church’s preference at the time was that given that there already existed a relationship with sexual expression involved, that the master should marry his concubine and make it lawful. The same point applies to women who have sexual relations with their own slaves, just as the man who consorts with his concubine must desist from his course of action. This naturally means to apply one’s own discretion and to observe things carefully in accordance to what Christ says, “You shall know them by their fruits”. Thus a person’s works and actions will show what they do is according to God and pleasing to Him or contrary. At the conclusion of catechism (religious instruction) the catechumens had to dedicate time to prayer and reflection, which was usually done in the narthex. In other words they have not become one family as adopted children of God through baptism, because they may still turn away from the Faith prior to baptism. And as such they do not partake of the same Holy Eucharist from which the faithful commune from, so they are not one body, mind or spirit with the faithful. This of course was to avoid scandal and the possibility of causing jealousies or the chance of fornication and adultery. He thus could not kiss her with the kiss of peace nor make physical contact with her. If he was to communicate with her it was to be in the presence of the congregation or if they were both accompanied. The veil represented the angelic schema spoken of in the Old Testament and signified a woman’s authority to pray and prophesise, and to take an active part within worship and the management of a local parish. In cultural terms it of course was to show the dignity and bearing of their social status and of their femininity and modesty. The hand, as it is today, is placed on top of the head of the catechumen. The teacher (catechist) will recite a prayer on behalf of the catechumen. The catechist could easily be a laymen or a clergyman. In other words they should not be in two minds and be doubting or fearful, but to be willing to take what is in store for them, “to take it on the chin” as the proverb says. That is, if there are impediments to baptism such as the committing of a grave sin, issues of temperament or character, or being afflicted by the pathoi, then the catechumen should be given more time to prepare and not be baptised until his spiritual guide can discern, together with the local bishop, that they are in the right spiritual phronema (mindset/behaviour). 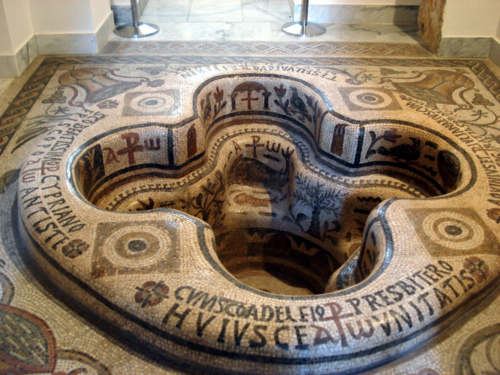 Baptismal fonts were usually supplied with water from a flowing river or spring, and subsequently, they were built upon springs or connected to rivers and springs. The reason was to reflect Christ’s reference to His bestowal of the gifts of the Spirit, and adoption by God of the faithful by offering “immortal and life-giving waters”, just as He promised the Samaritan woman by the well in John’s Gospel. 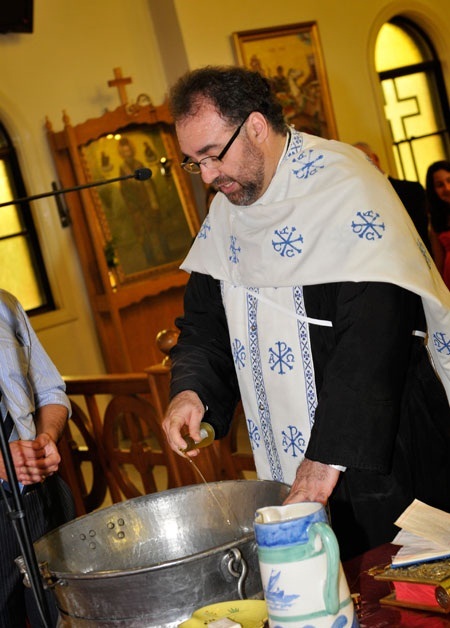 Yet it also reflects the ritual purification and beginning of Christ’s Incarnational travelling ministry with His baptism in the flowing waters of the Jordan River. However, in the absence of water supplies coming from springs or rivers, or the presence of drought (as is cited even today by Church liturgical ordinances), other forms of water could be substituted like well-water, tap water, sea water etc. The reason for this practice was to reflect the story of Creation whereby Adam was created first and then followed by his wife, Eve. The point was a matter of historical order and precedent, not an assertion of the superiority of one gender over another. In other words, the newly illumined would be given milk and honey to consume in addition to water. Next: Was it St Brendan Who Discovered America? Thanks for the very important selection of Hippolytus. Pieters, Indonesia.